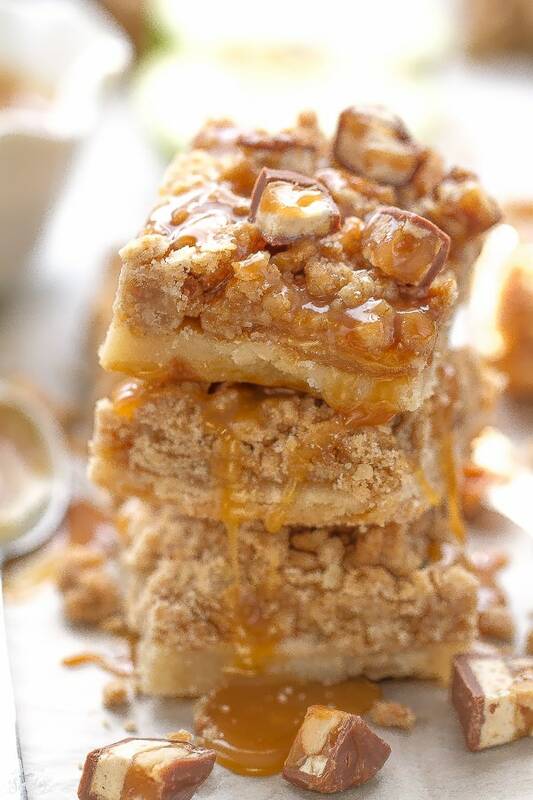 Snickers Caramel Apple Pie Bars are the perfect indulgent fall treat. 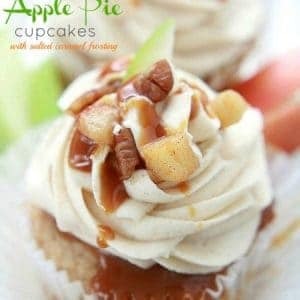 Best of all, they have all the flavors about apple pie without the hassle of making pie dough. If there’s one fall treat you have to add to your baking list, these are totally it! 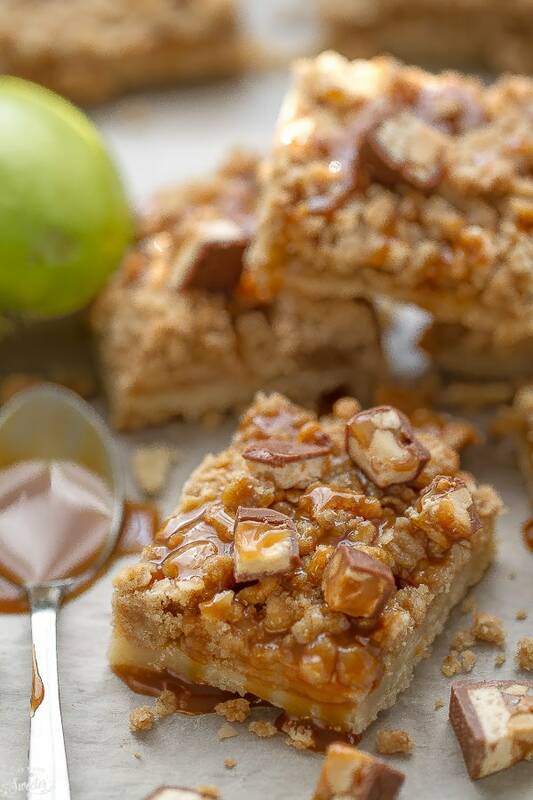 I made these Snicker’s Caramel Apple Pie Bars three times for the husband last month because they are SO ridiculously good! He is an apple pie addict but since pie dough and I don’t always get along, bars are the perfect solution. 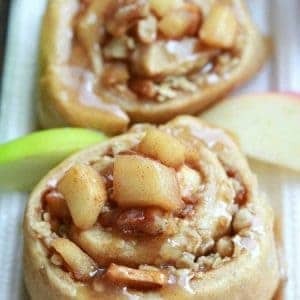 They have everything you love about apple pie, without the hassle of making or rolling out the pie dough. They start off with a buttery shortbread crust that is so easy to make. Next, come the apple slices covered in warm cozy spices. A generous layer of oat streusel topping is sprinkled all over. Then to take this dessert to another level you drizzle salted caramel on top along with bite-sized Snickers candy. These bars are so addictive and totally irresistible which makes them great for sharing. Enjoy them warm, room temperature or chilled in the fridge, or serve with a scoop of vanilla ice cream for the perfect fall treat! 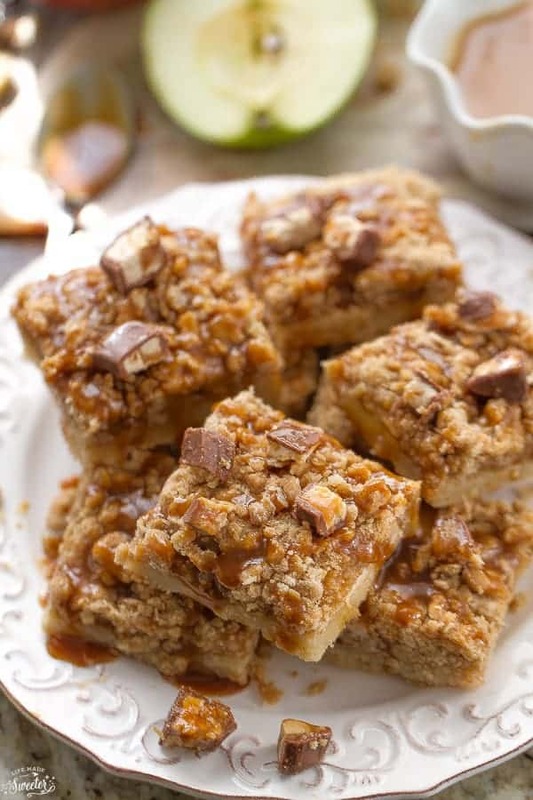 These Apple Pie Bars have all the flavors about apple pie with a shortbread crust, a layer of cinnamon apples and a brown sugary oat streusel topping. Made extra special with the salted caramel sauce and bite-sized Snickers candy on top. Cut into bars. 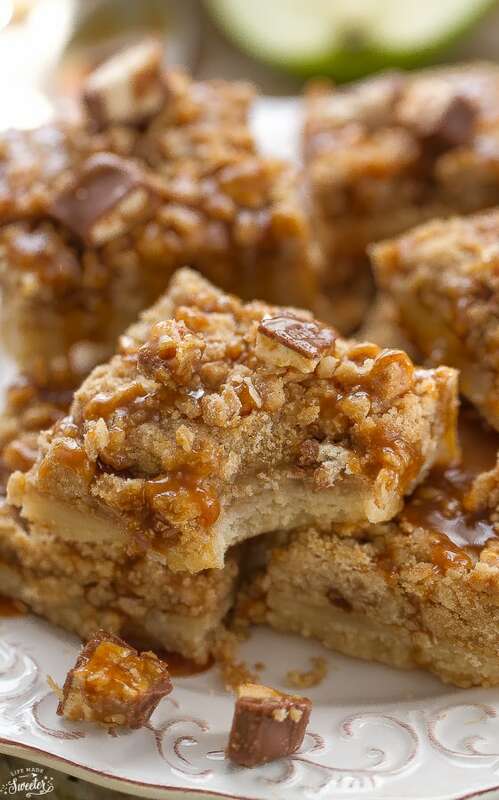 Drizzle each bar with salted caramel sauce and top with Snickers pieces. Serve warm or chilled. The bars will stay fresh in an airtight container in the refrigerator for 3 days.